I'll update all of the details in tomorrows post!! ahhh!!! So excited for you!! Congratulations!! This is such great news!! We are waiting for the same thing!! I'm so happy for you guys!! EEK! so excited to hear the deets tomorrow! Congratulations! What a cute picture! So very happy for you all! I was sooo excited when I saw this on Instagram!! Yayy!! So happy for you guys - can't wait to hear the details!! And this pic is the cutest ever!!! Ps. this picture is too cute!! love it!! Congratulations! And I hope you are feeling okay! YAY! Congrats! 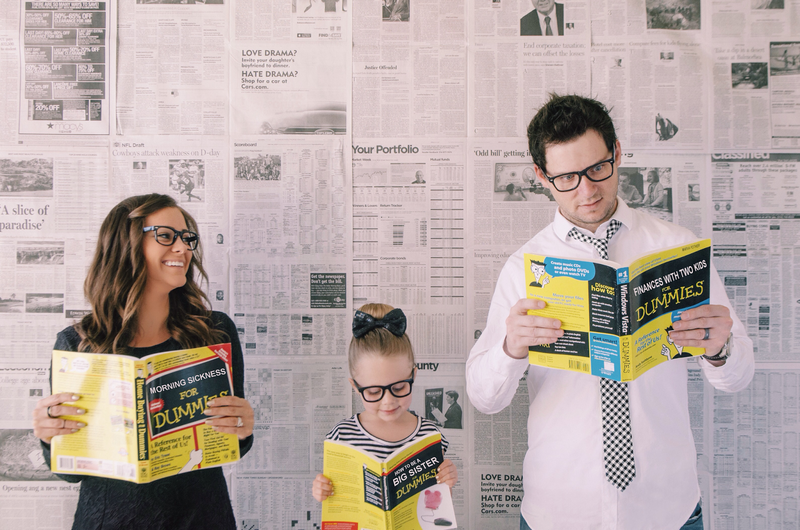 Cutest little announcement photo EVER! Yay! Such great news. Congratulations to your family! Congrats! Very exciting and such a cute announcement! I'm so happy for you guys! Congrats! God is good, and always works in his OWN timing! I cannot wait to see future posts about the new addition to the family! P.S This photo has no words, it's too adorbs! just the news you have needed!! your announcement picture is TOO DIE FOR! Congratulations!! The Lord always delivers! In His time is always The Best time :) Such great news!! Congrats! We have been trying for 7 years :) And are now due in August ... Never give up!!! I am so happy for you! i remember that we miscarried right about the same time we just had our baby 7 weeks ago and now im ecstatic to know you are finally expecting!! this is the best news! That picture is darling! What a good idea. Love the expression on Tyson's face. Oh and CONGRATULATIONS! That's so exciting! Wow!!!! Congratulations!!! So happy for you and your family!!! This post made me tear up with happiness for you! I have been following your blog for a while now, and I felt for you after reading about your miscarriage :( Wonderful news that you are pregnant! I am just so happy for you sweet family! Congrats! Congratulations on your growing family!!!!! So very exciting!!! And could this picture be any more adorable?! I am Feeling So happy for you ! Which Pregnancy pillow you used. I am confused, The Snoogle Leachco, seems good though..